The 200-91000 ResponseONE Ultrasonic Anemometer is designed to reliably measure wind speed and direction. The high sampling rate provides for fast response to changing wind conditions and wind data may be updated as fast as 10 times per second. 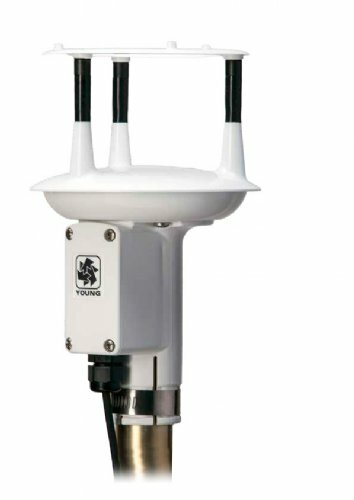 The 200-91000 ResponseONE™ Ultrasonic Anemometer is designed to reliably measure wind speed and direction. The ResponseONE™ is wind tunnel calibrated and will accurately measure wind speeds up to 70 m/s (156 mph). The high sampling rate of the 91000 provides for fast response to changing wind conditions and wind data may be updated as fast as 10 times per second. An easy-to-use Windows setup program is provided with each sensor. The program allows the user to customize device settings such as sampling rates and communication parameters. The compact IP-66 rated design features durable, corrosion-resistant construction. A variety of useful standard serial output formats are provided including SDI-12, NMEA, and ASCII text. An integrated compass helps enable mobile applications. The sensor installs on readily available 1 inch (IPS) pipe and wiring connections are made in a convenient weather-proof junction box. Special connectors and cables are not required. The 91000 is available in black or white.